One of the basic dressmaking skills you’ll need is the ability to insert a zip. As my Tuesday evening regulars agreed last night, whatever you want to make – a skirt, trousers or dress, you need to put in a zip. Here they are getting to grips with zips. Everyone agreed that they’re not so difficult after all once you know how! Have you got a lovely little jar that’s just too nice to throw away? Well now you know what to do with it! 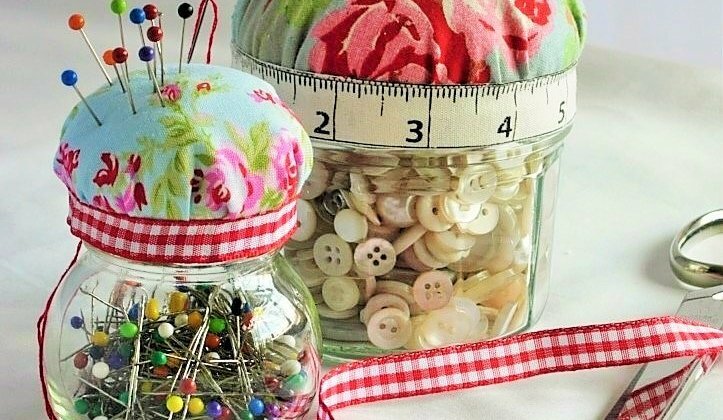 Click on the link for the free download project sheet with instructions on how to make this lovely pincushion and storage for your sewing bits ‘n’ bobs. 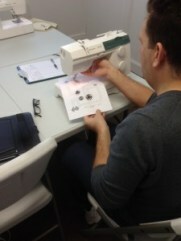 These make great gifts for friends who like sewing too! Get to the Point! How to choose the correct sewing machine needles. I had a client this week who was having trouble altering her T-shirts. She was quite short in the body and needed to take up most of her tops or they were more like mini-dresses. 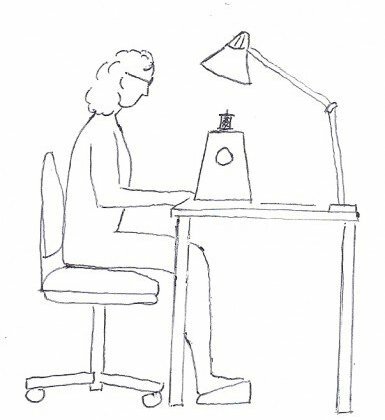 She’d bought a new sewing machine last year, and came to me for help convinced that the tension was wrong. The top she had recently altered had several breaks in the sewing of the hem and there were lots of skipped stitches. 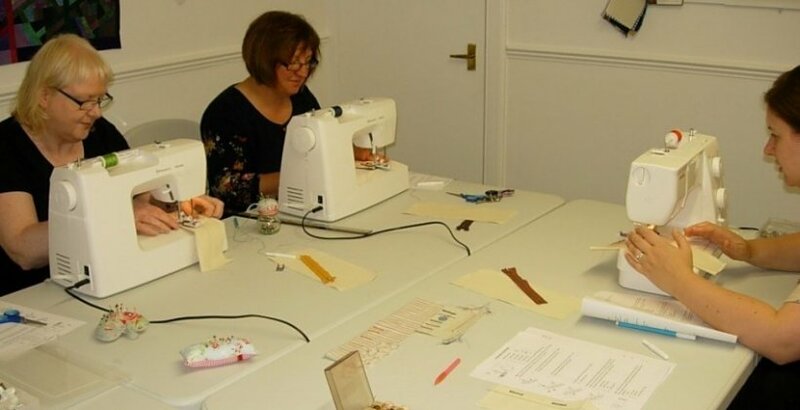 Are you practising Safe Sewing? If you’ve been using a sewing machine for a while and are completely comfortable with them, it’s easy to be blasé but remember they are electrical devices and are potentially dangerous. You could also cause damage to your machine by incorrect use. Thanks to all those who came along to the Open Studio event on Saturday.